Create a darling table runner using a variety of orange fabrics! 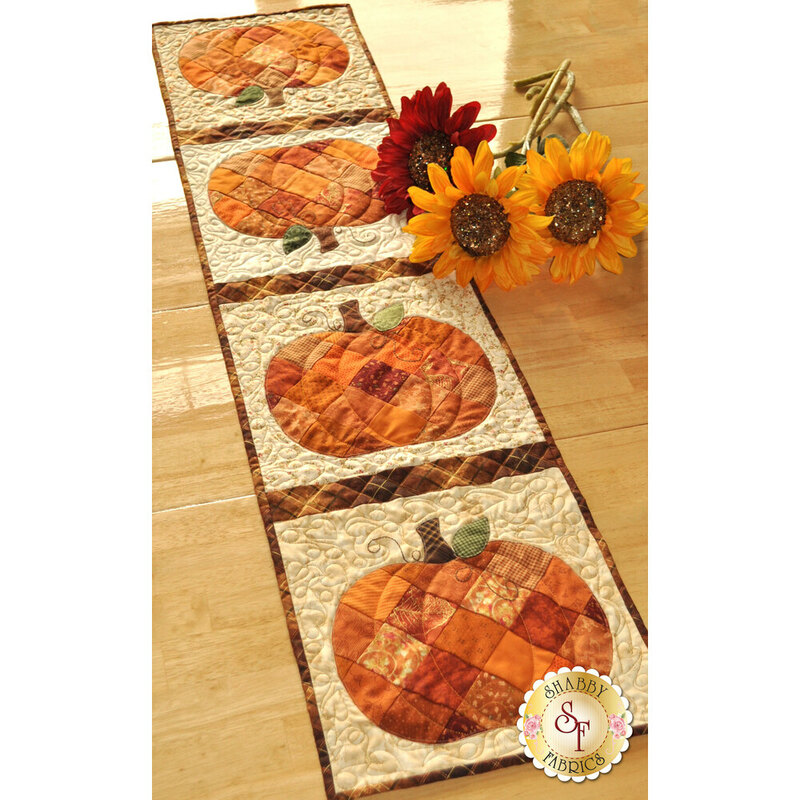 This Shabby Fabrics Exclusive finishes to 12 1/2" x 53" and features a patchwork pumpkin, appliqued stems and leaves, and a touch of embroidery. Kit includes pattern, all fabrics for top, embroidery floss, and backing. Add the Olfa 45mm Rotary Cutter below for precision cutting!